Americans use roughly 500 million plastic straws every single day. Not only is plastic waste unsightly for a relaxing stroll on the beach, but the Environmental Protection Agency has found plastic to be responsible for the death of roughly 100,000 marine mammals and 1 million sea birds every year. In an effort to reduce the effect of plastic straws on the environment, the Solid Waste/Recycling Department has created a voluntary Strawless Summer Challenge for city restaurants, bars and cafés. For a three month period from June 1 to Aug. 31, participating businesses can participate by abstaining from giving plastic straws out unless requested by a customer. Participating businesses will be spotlighted on the department’s website and city social media efforts. Businesses that successfully complete the Strawless Summer Challenge will receive a certificate of achievement and a photo spotlight on the department’s website for one year. City ranks in top 100 of 38,000 public fleets. CLEARWATER, Fla. – The city of Clearwater’s Fleet Division was awarded the “100 Best Fleets in North America” award sponsored by 100 Best Fleets in America and Governing Magazine . The city has been ranked 93rd in the nation out of 38,000 public fleets. 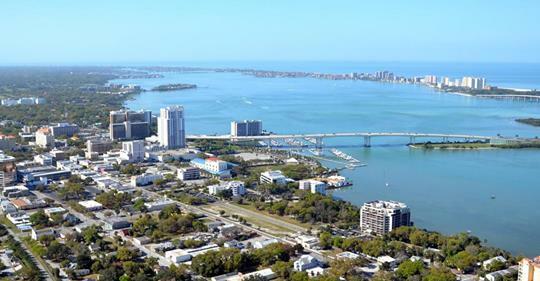 The 100 Best Fleets program recognizes and rewards peak performing fleet operations, such as the one that supports the city of Clearwater and its many departments. The Fleet Division provides repair and maintenance services for a fleet of approximately 1,700 city vehicles and equipment, including Clearwater Police, Clearwater Fire & Rescue, Clearwater Solid Waste/Recycling , Clearwater Gas and Parks and Recreation equipment. The city’s Fleet Division is part of Clearwater’s Solid Waste/General Services Department, and it includes 37 full-time employees. This is the first time the city of Clearwater has participated in this competition. The winners were announced April 27 at the NAFA Fleet Management Association Institute & Expo in Anaheim, Calif. Started nineteen years ago, the annual 100 Best Fleets in America program recognizes high-trust, high-performance fleet operations in North America and Canada. Criteria for the award include use of technology, performance, collaboration, service turnaround time and accountability. These awards were recently announced at the NAFA Institute and Expo. For more information, visit the100bestfleets.com . 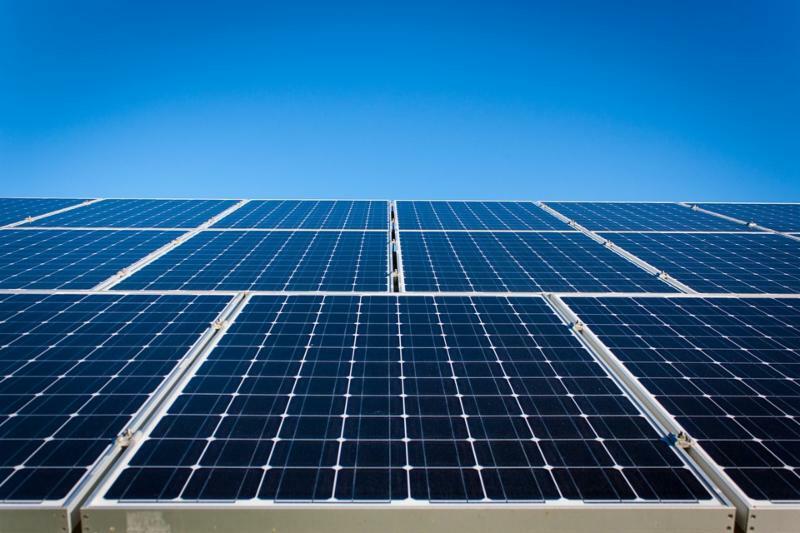 Floridians who want solar panels on their rooftop will soon have an option for solar: Sunrun. The solar-as-a-service biz is coming to the Sunshine State this summer with plans allowing customers to start generating their own electricity for as little as $0 upfront. And thanks to the company’s home battery, “Brightbox,” that power can be used rain or shine — a convenient option during hurricane season, no doubt, and much cleaner and less noisy than your typical backup generator. 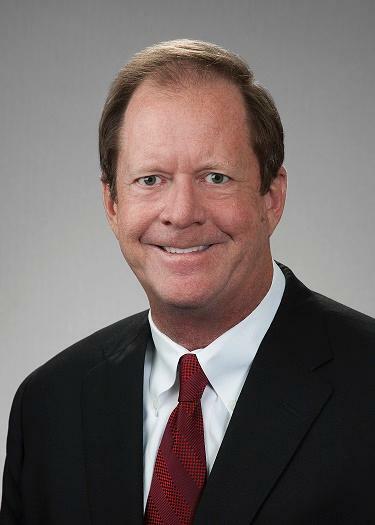 HILL WARD HENDERSON Shareholder, Ed Armstrong, elected Vice-Chair of The Southwest Florida Water Manager District’s Governing Board. 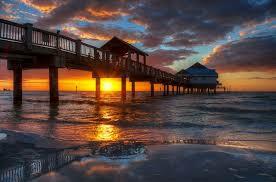 Beachside Hospitality Group is the Management Company overseeing 5, well known Florida restaurants. Three of those restaurants are located on Clearwater Beach; Crabby’s Dockside, Crabby’s Bar & Grill, and Salty’s Island Bar & Grille. While the other two stores (Crabby Bill’s St. Cloud and The Salty Crab Bar & Grill on Ft Myers Beach) are located out of Pinellas County, the goal of Beachside has always remained the same – to provide the freshest food available at fair prices to guests. Each of the Clearwater Beach locations are able to offer something different to guests. Crabby’s Dockside boasts 3 stories of panoramic views of the Gulf of Mexico, along with a family friendly feel on every floor. Crabby’s Bar & Grill is a Key West style restaurant, offering breakfast, lunch, dinner, and late night specials along with live music daily. Salty’s Island Bar & Grille is the newest member to the Beachside family, already boasting accolades galore. Salty’s serves breakfast, lunch, and dinner, as well as 2 separate happy hours each day. The Beachside Hospitality Team remains a small group of Pinellas County locals, working tirelessly to promote each city’s views, local fare, and feel through our knowledgeable staff, unique menus, and community involvement. 2018 continues to bring successes, as the expansion of Beachside's restaurants grows, adding Ft. Pierce, Florida to their list of locations. Opening early 2019, the team at Beachside is excited to add a new city to their wheelhouse. Whether you’re looking for a Wedding Rehearsal Dinner venue, and Corporate Lunch site or you’re simply looking for a great place to grab dinner and a drink with some friends, Beachside Hospitality Group will make sure that your experience is one to remember. 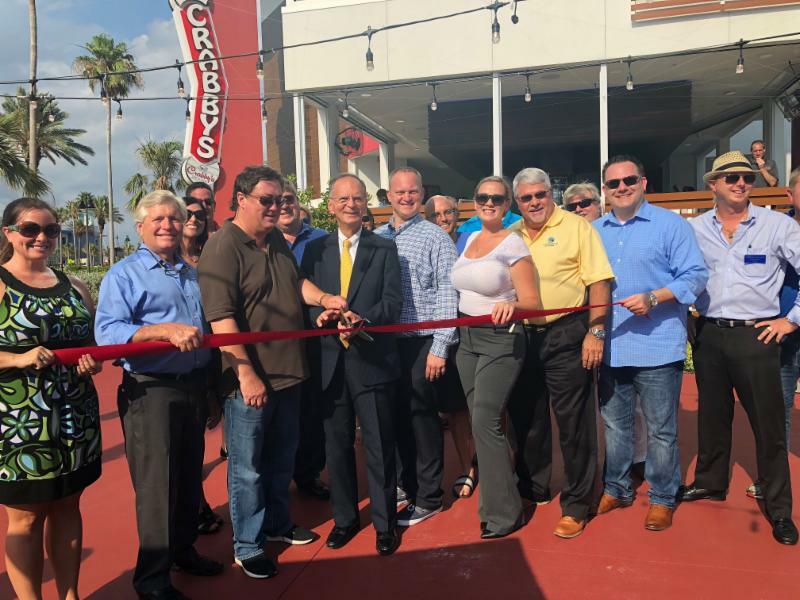 Congratulations on your 1 Year Ribbon Cutting Ceremony, Crabby's Dockside! 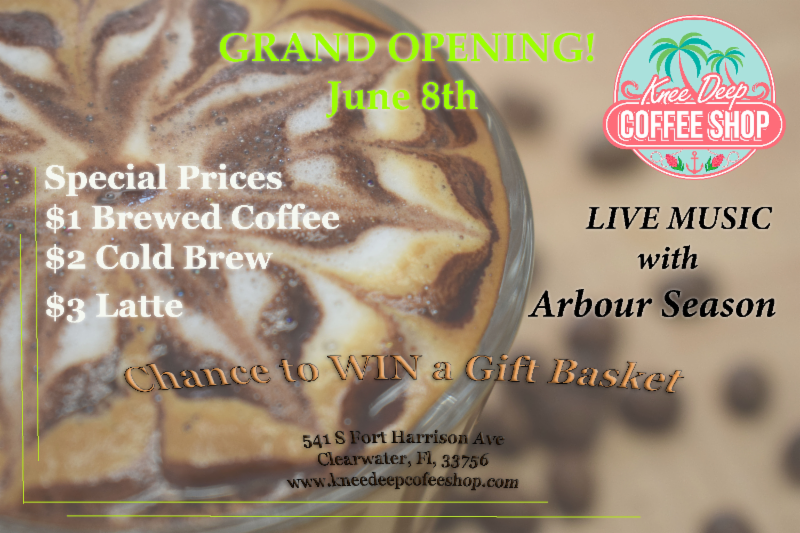 Thursday June 7, 2018 from 4:00 - 6:00 pm, the ribbon cutting will take place at 4:30 pm sharp. 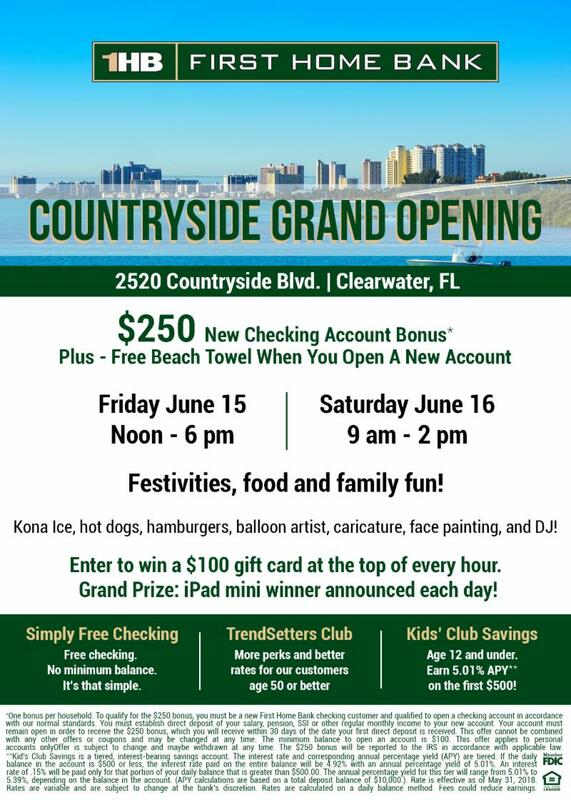 First Home Bank hosts its Countryside Grand Opening on Friday, June 15th and Saturday, June 16th, at 2250 Countryside Blvd, Clearwater. Join us for festivities, food and family fun! TALLAHASSEE, Fla. – Today, Governor Rick Scott announced that Florida welcomed an all-time record 33.2 million visitors to the Sunshine State in the first quarter of 2018. This represents an increase of 7.4 percent over the same period in 2017 and is the largest quarter for visitation in Florida history. The cost of living in the Tampa Bay area during the first part of 2018 was nearly 10 percent lower than the national average, according to a Tampa Hillsborough Economic Development Corp. cost of living index released this week. Considering a 100-point national baseline, Tampa Bay scored a 90.1 on the index, which is the lowest in the state. Cost of living is one of several key considerations for businesses looking to expand or move to a location. 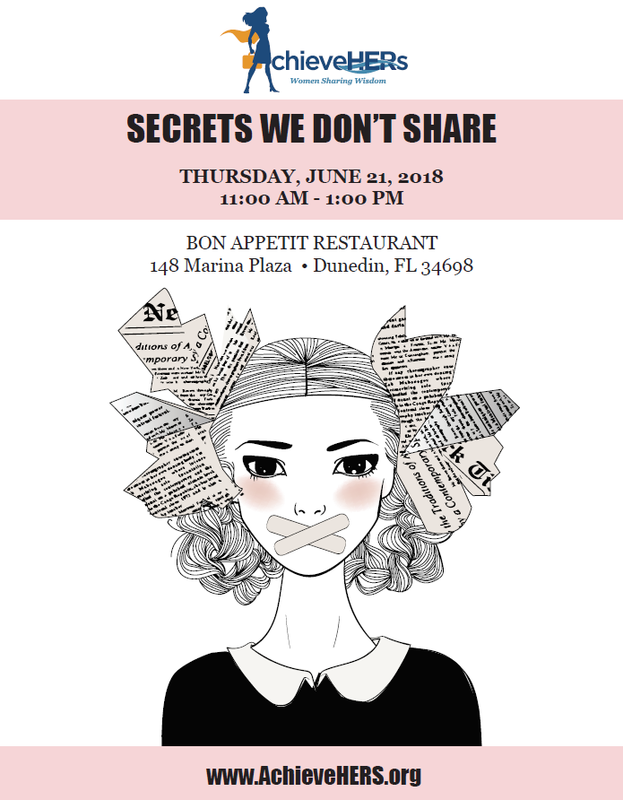 Each election cycle, the Clearwater Regional Chamber of Commerce hosts Politics in Pinellas, where Pinellas County voters meet face to face with candidates for every elected office on the November ballot. 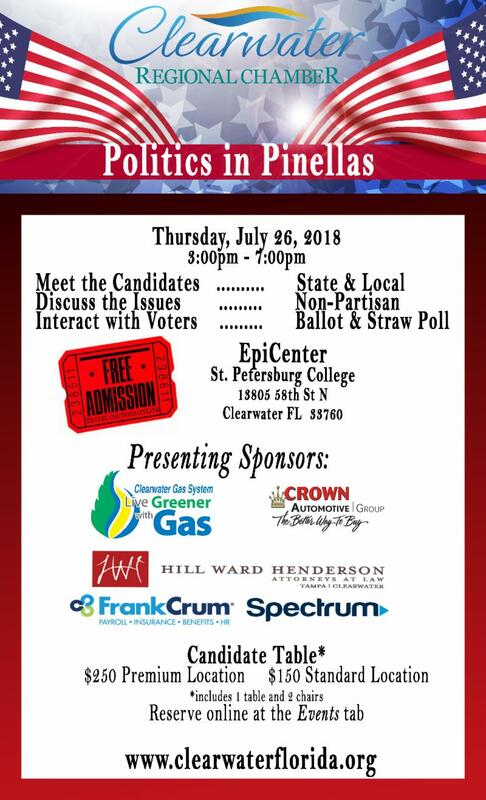 The 10 th Politics in Pinellas will take place on Thursday July 26, from 3pm until 7pm, at the Epicenter, St. Petersburg College. 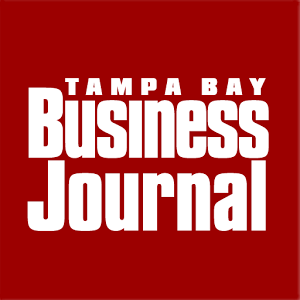 Don’t look for the recently enacted Tax Cuts and Jobs Act to have a big impact right away on merger and acquisition activity among middle-market firms, those that make up the bulk of the Tampa Bay community. The tax law, signed by President Trump late last year, primarily benefits large companies, according to a panel of local M&A experts who spoke at the Tampa Bay chapter of the Alliance of Merger & Acquisition Advisors. A San Francisco based company is expanding its services in the Tampa Bay area and other parts of the state by providing solar as a service, which allows customers to rent arrays. The company expects to add “hundreds of jobs” as part of its expansion. Sunrun (NASDAQ: RUN) did not specify how many jobs it would add to the Tampa Bay region, but the company already has a Tampa office that sells solar supplies. Looking for a new job? How about a new career? 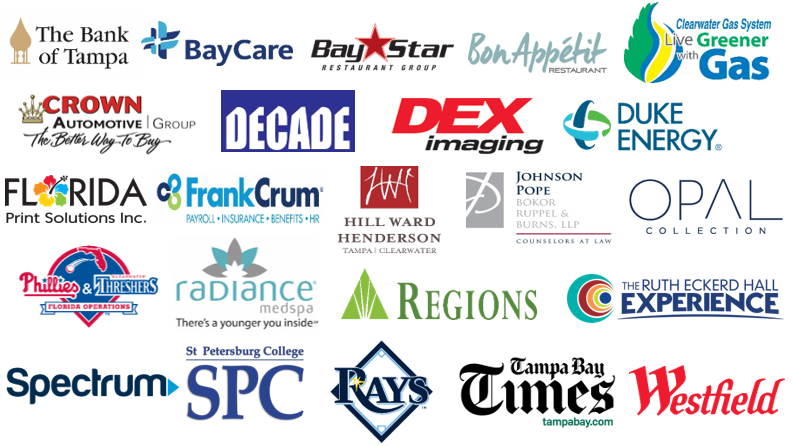 Come out to the Tampa Bay Job & Career Fair on Tuesday, June 12 from 10 am- 2 pm located at Holiday Inn Tampa Westshore. BayCare Health Systems has named Ronald J. Beamon the new chief financial officer for the system’s Hospital Division. Starting July 6th 2018, Clearwater Ferry will be adding a ferry route from Dunedin to Clearwater Beach. Their website will provide information on schedule and reservations. 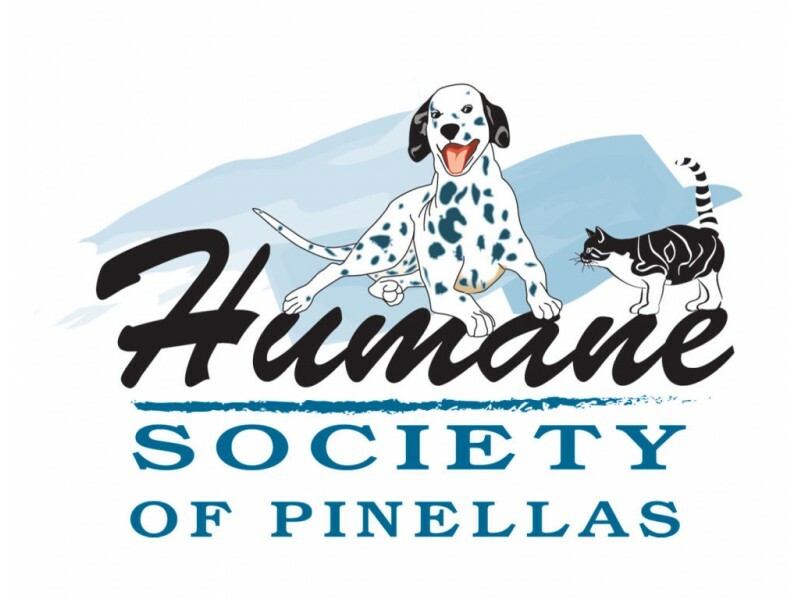 Specialists in Companion Animal Neurology is expanding their footprint with a third Florida location in Tampa Bay. Their new Clearwater location is set to open on June 25. The Center for Cyber Safety and Education is conducting a fundraising event on Sunday August 12th starting at 12:30 pm at TopGolf in Tampa.